I really never got the Twitter bug, did you? I just don’t have that much to say about myself (or what I am having for breakfast, etc.) in short bursts of text. Facebook, however, is another story. One has to get their news and information from somewhere, and I have found Facebook to be the most centralized and comfortable spot for me to do that. It takes a lot of weeding, to get your feed to the point of being able to read what you want and trash the rest, but I believe I do have my Facebook feed honed down now to the point where I can get on quickly, find out what is going on in the world (to the point I want to know) and get off. The unfortunate part of the process mentioned above is that it takes time and effort. I have also found that I have been conditioned by the process of posting short little blurbs about what we are doing with a single photo, or not posting at all. I tend to get on and click “like” on a few things and then move on to other stuff. This has led to a lack of posting to my blog and a missing historical record of life events over the past 8 months or so. That makes me sad. This blog is still the best way I have of looking back on what we have done over the years and I should post here more often. I have made many cakes and crafted many items over those 8 months that I should have shared here. 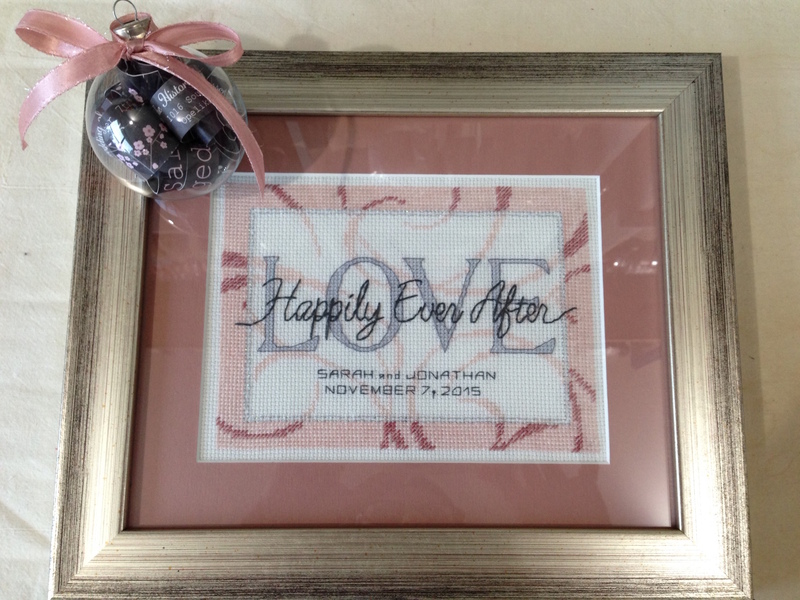 For example, this latest cross stitch I completed is for a couple who was married yesterday. I stitched the piece, then matted and framed it. The Christmas ornament you see on top is the invitation to the wedding. I love making these, as they are unique and a nice “first” year ornament for the couple’s tree. The wedding was nice and the bride was beautiful! What an amazing dress she had. Scott worked the sound for the wedding and I tried to help with that. It was an enjoyable, but tiring day. 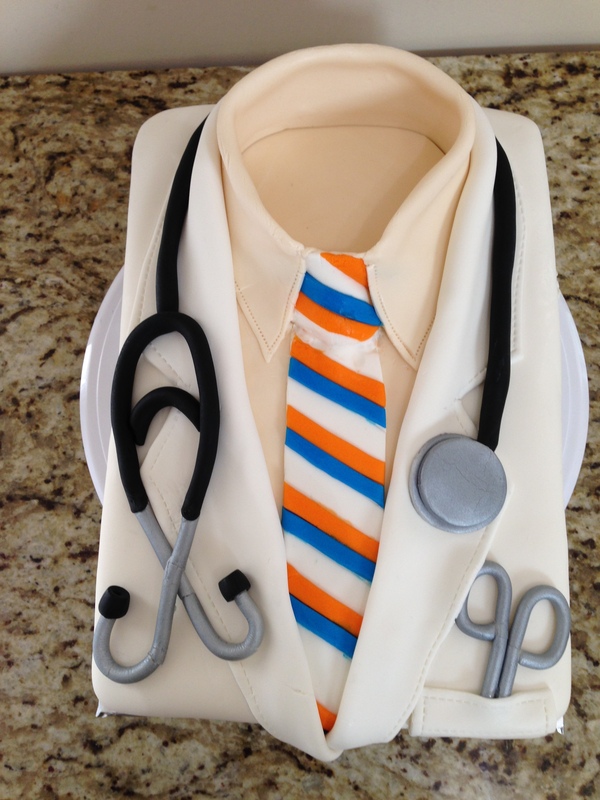 On the cake baking front, my latest cake was for a friend who just went through his “white coat” ceremony at med school. The cake was fairly easy, but the fondant was not my friend on that day. It either wanted to crack (too dry) or the colors wanted to run (too humid). Oh well, I think it still turned out as intended, but not perfect. Great to hear from you! Please let us know how your fur baby is, too. I remember matching outfits you made.